UBC Apple Festival is a Family Festival which takes place at the UBC Botanical Garden every October, so, if any of you love apples, then you'll want to visit the 2011 edition on 15th and 16th October (for more info, visit www.botanicalgarden.ubc.ca) . 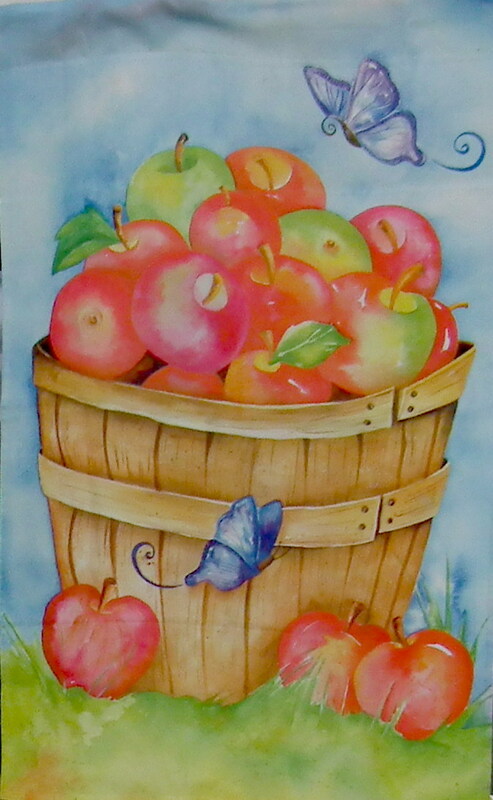 We love apples and we have attended as visitors the Apple Festivals many times, but this year, after a "family meeting", me and my husband decided to join as volunteers at this great event. Admission to the festival and the UBC botanical gardens is $4 for adults and children 12 and older and we are really happy that the money raised at the festival goes to support research and educational activities at the UBC Botanical Garden and Centre for Plant Research. So it will be a great weekend to support such a great cause and also an opportunity to spend family time having a lot of fun doing together and wondering throughout UBC Botanical Gardens. We hope that the children will gain knowledge about the diversity of apples, will discover more about those lovely fruits and will improve some of their gardening and helping skills. I can't wait to see them in the children's area with apple-themed entertainment and with apples painted on their faces. Continuing on this note, last Sunday, our surprise when walking throughout VanDusen Botanical Garden, was to find at the "Master Gardeners Harvest Festival", in front of "VanDusen Floral Hall", a physical display of the nearly hundreds apple varieties that are grown in British Columbia and a variety of fruit trees, exhibit stands made as a preamble of the UBC Apple Festival by BC Fruit Testers Association. I'm waiting for those enjoyable afternoons and I hope it will be a helpful contribution in organizing a friendly autumn event. 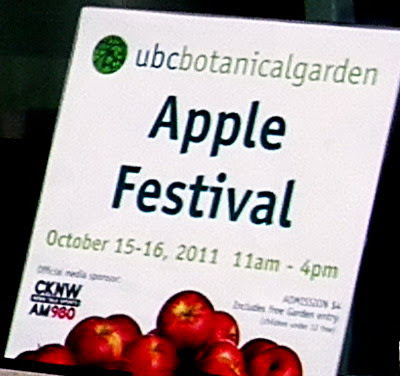 October 15, 2011 Update: enjoy images and activities from first day at UBC Apple Festival.